Believe it or not, you can be kind to the planet and stuff your wallet - without much effort at all. Thankfully, the world is now digitally focused and your studies can be, too. You’ll save money (and stop wasting paper) on purchasing notebooks and flashcards if you begin to electronically take down what you need to remember in class. Take reusable bags to the store with you to grocery shop instead of opting for paper or plastic. It’s wasteful and unnecessary – and several bags with every grocery trip can add up to a whole lot of garbage over a lifetime. Reuse old water bottles or purchase water bottles that you can refill instead of tossing out a new bottle every time you need to quench your thirst. According to The Water Project, it’s estimated that up to 80 percent of water bottles in the United States never get recycled. In addition, it takes three times the amount of water that’s in a water bottle to create the bottle in the first place! The Water Project also notes that, “U.S. landfills are overflowing with 2 million tons of discarded water bottles alone.” So getting a BPA-free water bottle shows the earth – and your wallet – love. By now, this should be a no-brainer. When you’re able, recycle. Whether it’s paper products, plastics or upcycling old items, it’s important to think about which trash can be saved from a landfill. When you’re not using appliances or you’re not in a room, turn off lights and other electronics. An easy way to implement this is by connecting your electronics to a surge protector and flipping the switch when you leave the room. Bonus: your electric bill will thank you! Only buy what you actually need. In a consumer culture, it’s easy to fall into overbuying habits. If you only purchase what’s necessary, you’ll not only be going green but saving green as well. If you have the option, borrow items instead of buying them. There are plenty of items available for rent, like DVDs, which can reduce waste. In addition, you can download music and movies electronically instead of purchasing hard copies. In addition to helping you live a healthier lifestyle, trying to cut down on driving can help the environment and save you a lot of gas money as well. Try to switch your bulbs to energy-efficient compact fluorescent (CFLs) or LED bulbs. Though they may be a little more expensive, it’s worth it because they can last up to five times longer than regular light bulbs and are very bright so you won’t need to turn on as many lights. Set your thermostats a few degrees lower or your air conditioner a few degrees higher. You probably won’t notice much of a difference, but the environment will! Stay away from harvested or farmed fish or seafood that’s not sustainable. In addition to being loaded with all kinds of unhealthy additives, the farming systems used are terrible for the environment. Choose sustainably-caught ocean fish as the other methods of capture can have disastrous impacts on ocean ecosystems. On the Monterey Bay Aquarium Seafood Watch site, you can learn more about the importance of sustainable seafood and find out where to get sustainable seafood in your area. Raising livestock produces large amounts of greenhouse gases into the environment. According to a United Nations report, “cattle-rearing generates more global warming greenhouse gases, as measured in CO2 equivalent, than transportation, and smarter production methods, including improved animal diets to reduce enteric fermentation and consequent methane emissions, are urgently needed.” Additionally, “when emissions from land use and land use change are included, the livestock sector accounts for 9 per cent of CO2 deriving from human-related activities, but produces a much larger share of even more harmful greenhouse gases. It generates 65 per cent of human-related nitrous oxide, which has 296 times the Global Warming Potential (GWP) of CO2.” Eating less meat – even omitting it from a meal one day a week – can positively influence change. When you do eat meat, look for labels that specify free range, organic and hormone and antibiotic free. There are resources to help you find sustainable food locally so you know exactly where your food is coming from - especially since it can not only affect the environment, but your health as well. With millions of beauty products out there, it’s easy to find products in pump sprays as an alternative. Try to look for items with environmentally responsible brand seals. Remember that old adage you’d repeat at the grade school drinking fountain, “save some for the fish?” You can do this in your daily life by turning off water while brushing your teeth, washing your face or shaving. In addition, cutting down your shower time can save more water and make a bigger impact than you’d think. It's estimated that, using an average number of 2.5 gallons per minute from the typical shower head, reducing your shower length by 4 minutes per day would save (assuming you shower every day, ahem) 3,650 gallons per year. Now that's a lot of water saved for such a small sacrifice! If you’re going to give brands you’re support through purchasing their products, read labels carefully. Look for beauty and cleaning products brands that are responsible in their production, looking for responsible brand seals. Check out this site, where you can find a list of eco-friendly product labels and logos" rel="nofollow" target=" _blank">environmentally responsible brand seals. While we're on the topic of being responsible, why not look for items that aren't tested on animals. It's a cruel process and showing your support for companies that don't use animals for testing can end it for good. It's easy to find cruelty-free and environmentally responsible brands. You just need to know which labels to look for and there are a lot more options than you might think. You can find brand guides for conscious consumers here. It will make a small difference to you but a world of difference to the animals involved, not to mention, no longer supporting companies that condone such cruel practices. Because, if you support them, it's kind of like you're condoning it too, isn't it? How much of the mail you’re receiving is mail you actually want? By opting out, you can save resources and save yourself the hassle! You can get off most unsolicited mail lists simply by calling 1-888-5-OPTOUT (1-888-567-8688). Also, elect to browse online instead of getting catalogs mailed to your home. In this digital age, you can see everything you need to without the massive waste of paper! All of these tips are easy to implement and will actually save you money. It's time you go green to save green - the planet and your wallet will thank you! 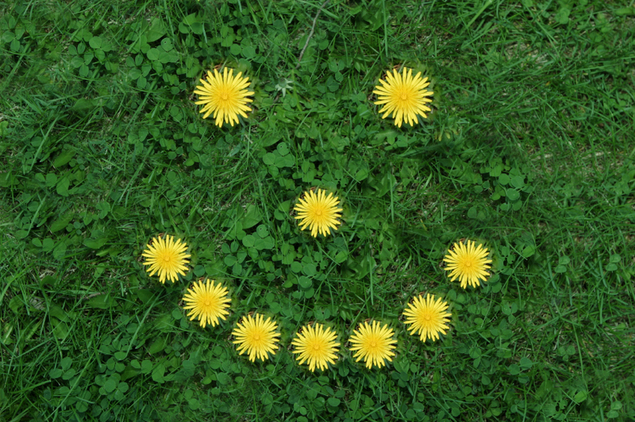 Did you know you can also find green scholarships, internships and activities on Fastweb?